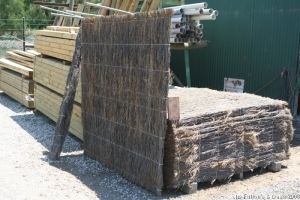 Tightly packed brush timber panel used for creating fences and to screen off unsightly areas in the garden. Each panel measures 1.8m x 1.8m. Also available are rolled caps to neaten the top, also 1.8m long.